Squaw Cove on a calm morning in early summer. 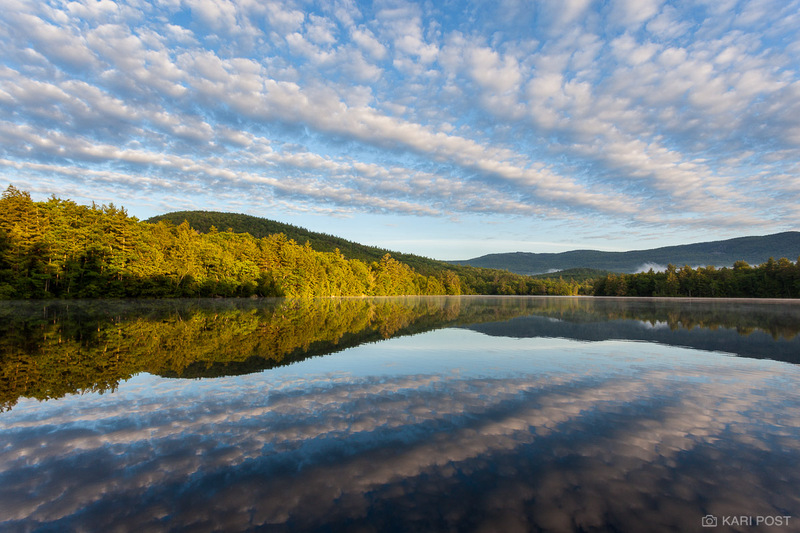 Squaw Cove is on the northern end of Squam Lake, a popular destination in New Hampshire's Lakes Region. Squam's history is rich with family traditions of quiet summers on the lake, and old timers have resisted development and the multi-million dollar mega-mansions that now dot the lake's shores. In some areas, such as Squaw Cove, motors on boats are not permitted, small discreet cabins and cottages are still the norm, and residents have been able to maintain a less extravagent existence.